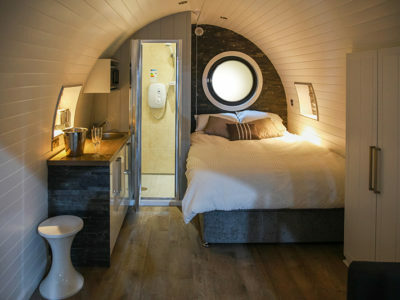 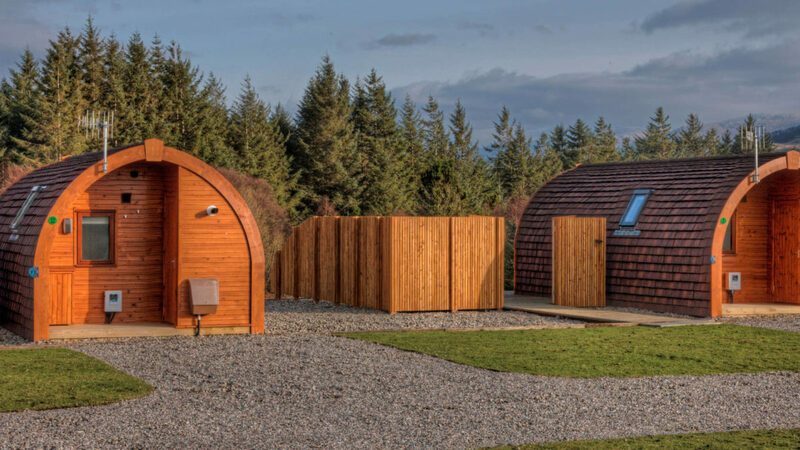 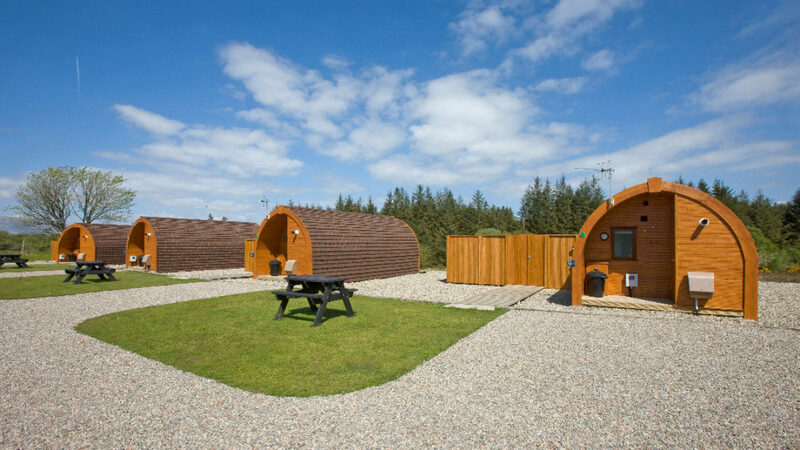 Luxury Glamping Pods in Oban, Scotland - The first of their kind in Scotland, our glamping pods give you the ultimate luxury glamping experience. 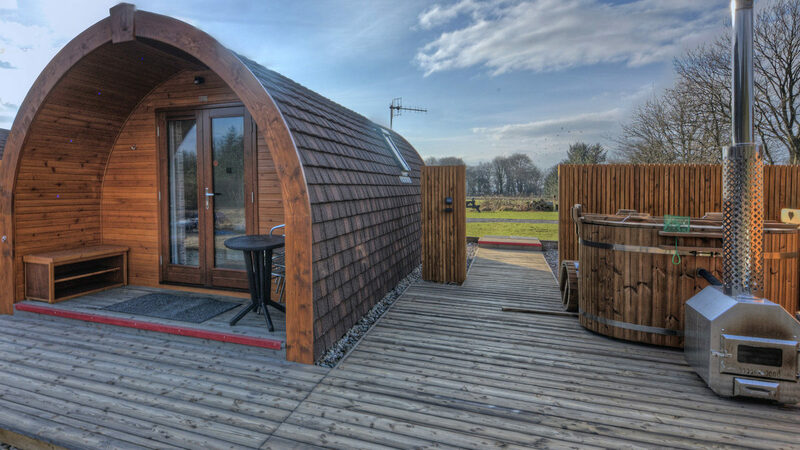 Set on the top edge of the field, these 4-berth pods command a fabulous view over the pond and surrounding countryside. 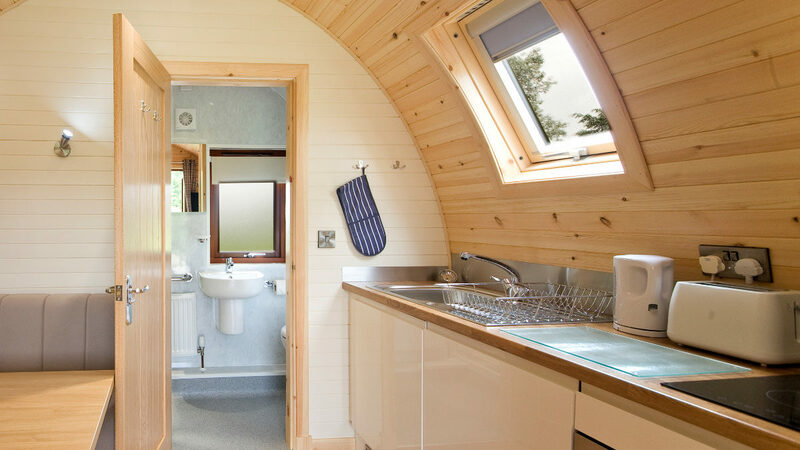 The pine interiors create a warm, cosy ambience with their bunting and cushions and at the same time feel airy and spacious. 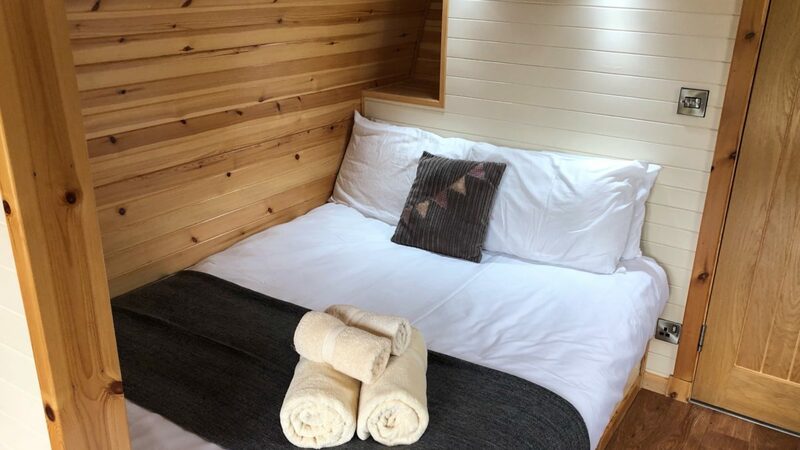 The kitchen is fully equipped with everything you'll need for your stay and all bed linen and towels are provided. 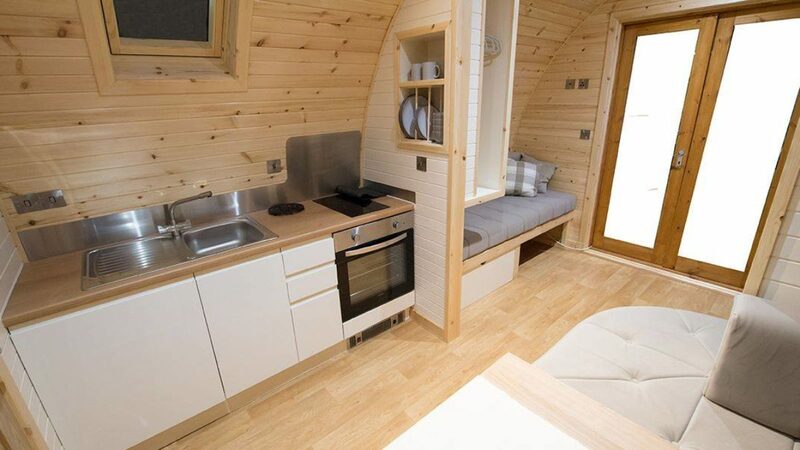 The dining table converts into a comfy double bed and there are two sofa-style benches that double up as single beds. 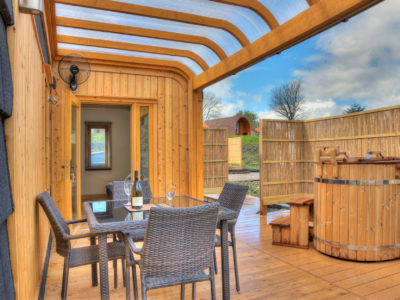 All pods have their own private decking area with hot tub, firepit BBQ and patio furniture. 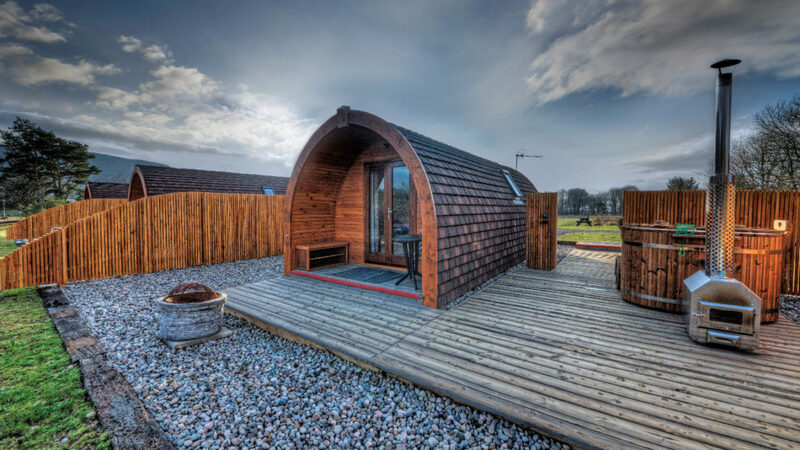 There is also a picnic table at the back of the pod and a private parking space. 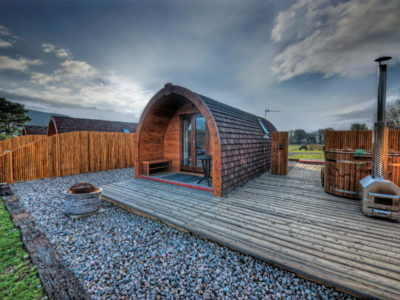 Take a look at just some of the popular activities and facilities which are close-by to our site here at Highfield Holidays. 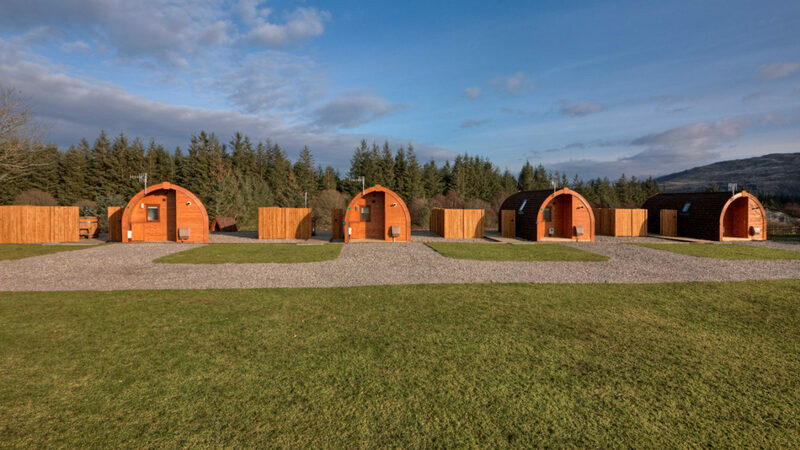 Great glamping experience, cosy, warm, great scenery.